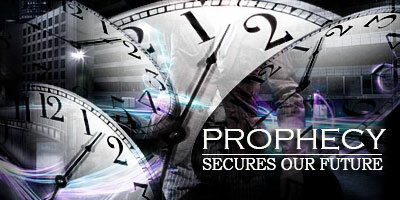 #039 Prophecy Secures Our Future | That's In The Bible? « #038 Questions & Answers #1 – Recorded Live! An introduction to prophecy in the Bible. Follow along with us as Pastor Steve takes a fascinating look at prophecy in the Bible. Much more accurate than Nostradamus, Jean Dixon and the Mayan calendar. Check it out for yourself, you may be surprised! This entry was posted on August 27, 2010 at 12:53 am and is filed under That's In The Bible - Podcast. You can follow any responses to this entry through the RSS 2.0 feed. You can leave a response, or trackback from your own site.